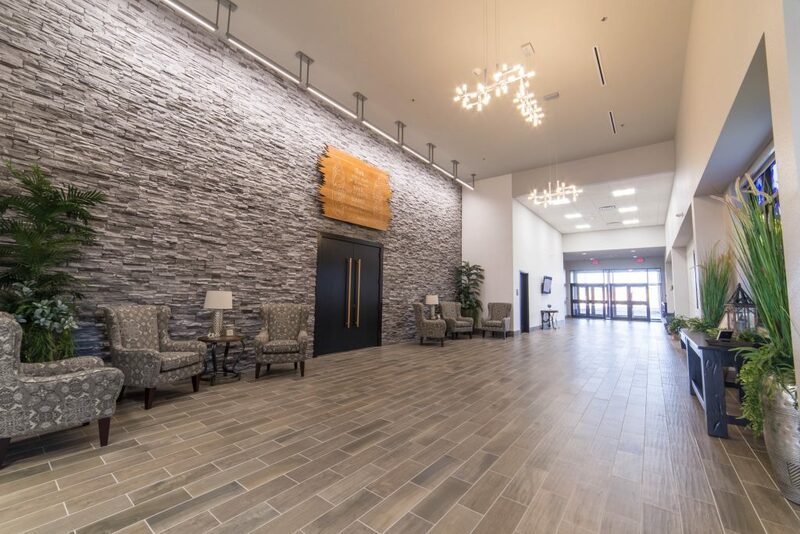 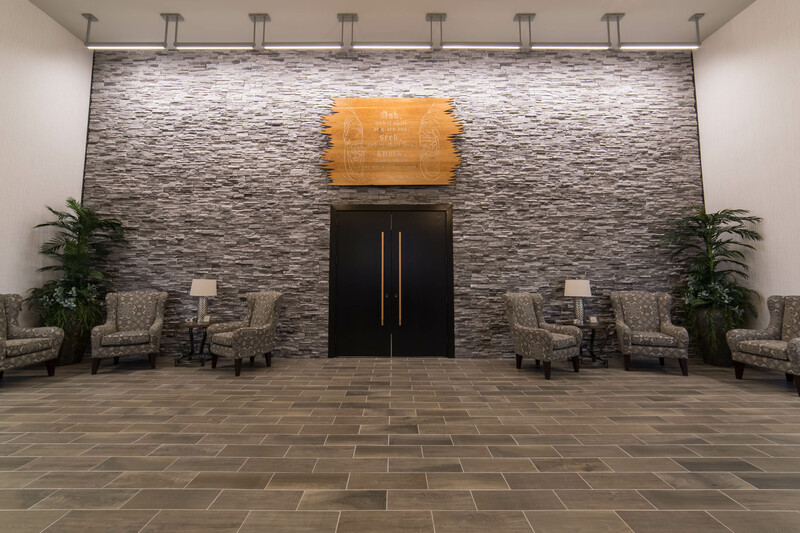 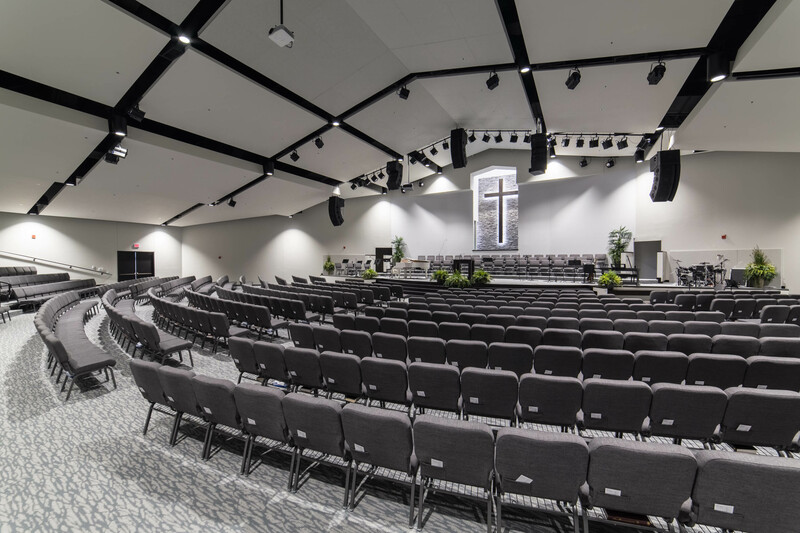 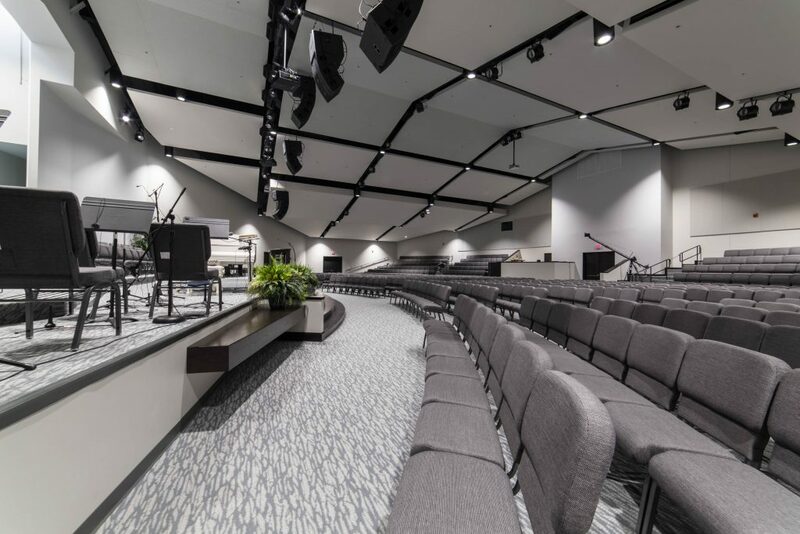 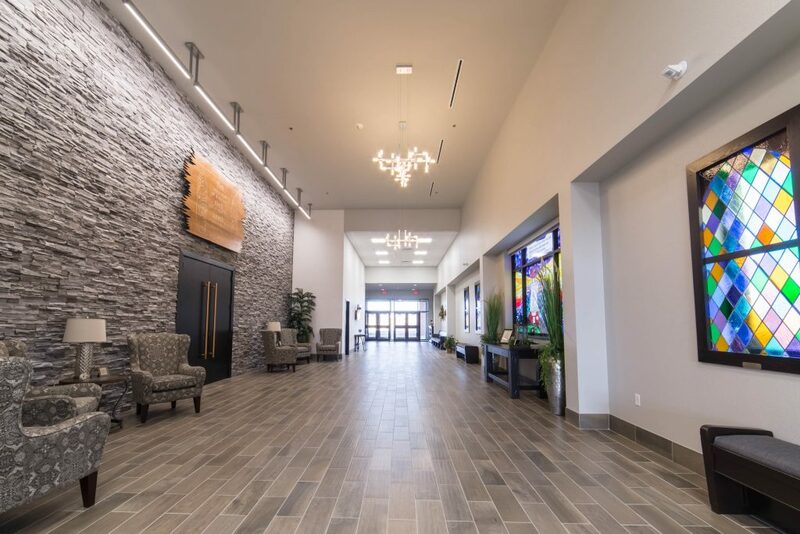 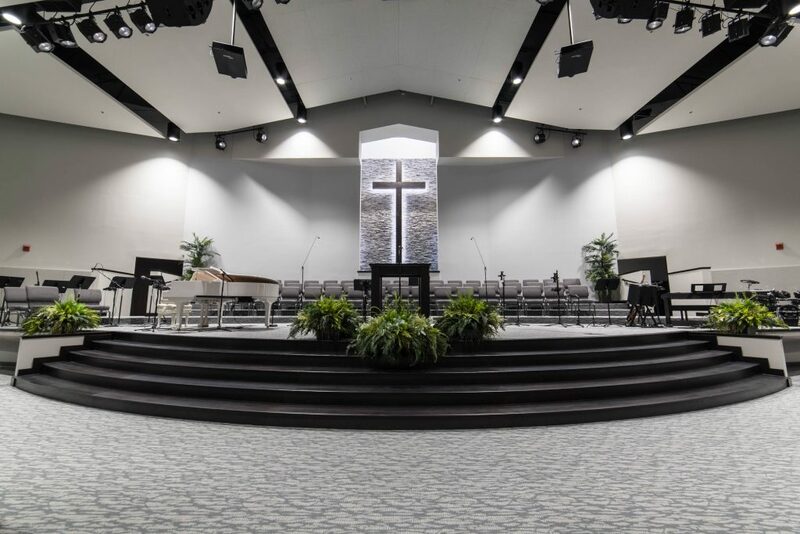 The Rye Hill Baptist Church Sanctuary Addition was completed in the Fall of 2017. 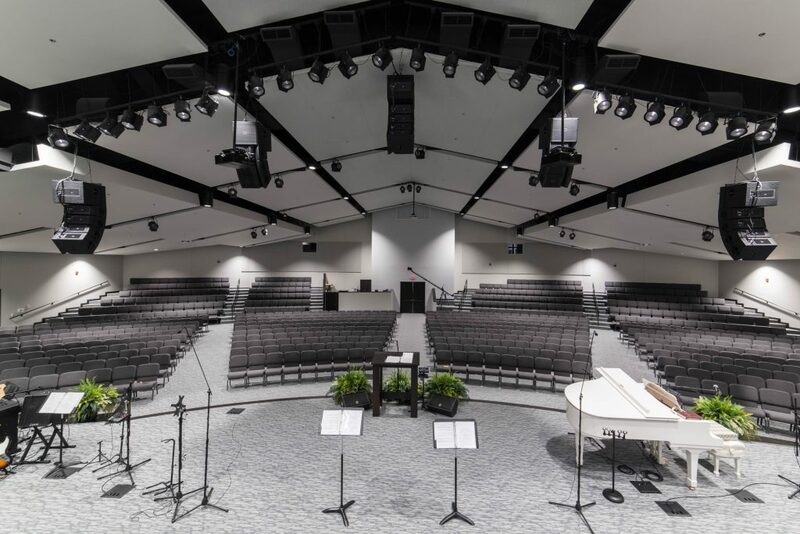 The addition is an approximate 17,626 SF Addition to the existing building with a seating capacity of 800. 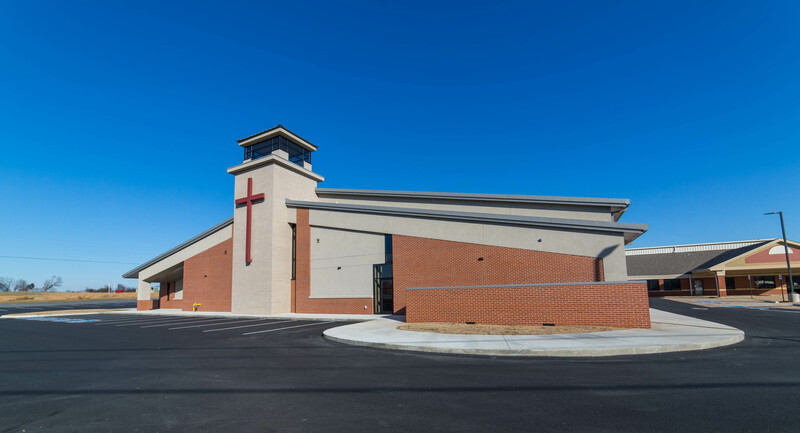 The addition occurs along the West side of the property for ultimate exposure and visibility to Old Highway 71. 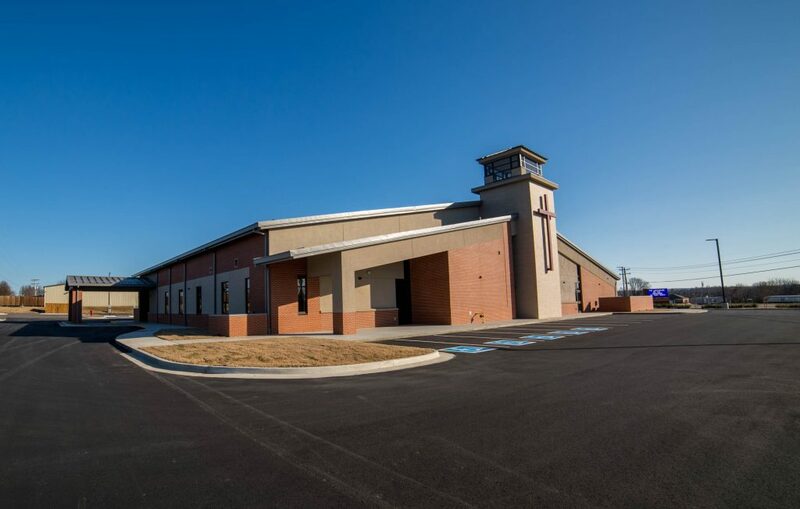 Additional parking was added to the North side of the addition with room for expansion. 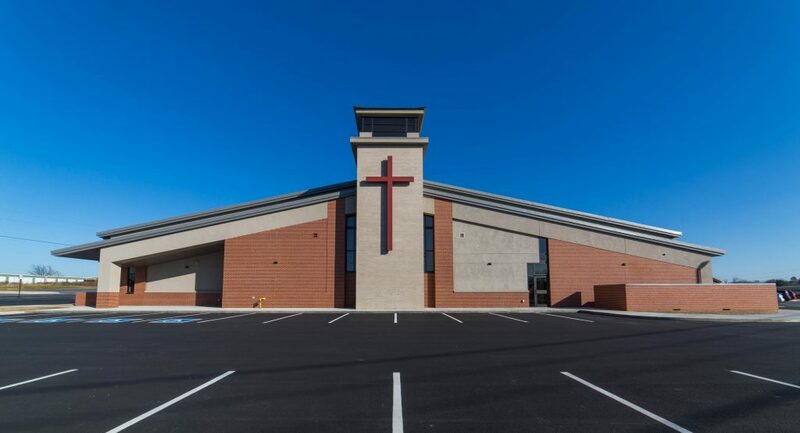 The Design inspiration included taking reference to the Church’s slogan as “The Lighthouse on the South side of Fort Smith”. 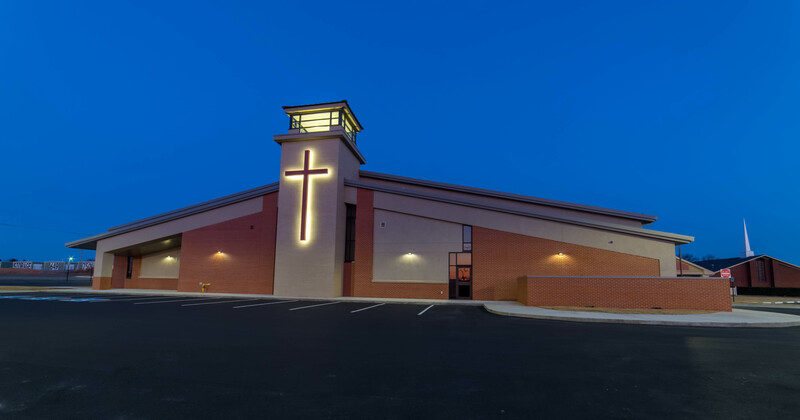 A lit beacon was designed on the main West Elevation with large back-lit cross. 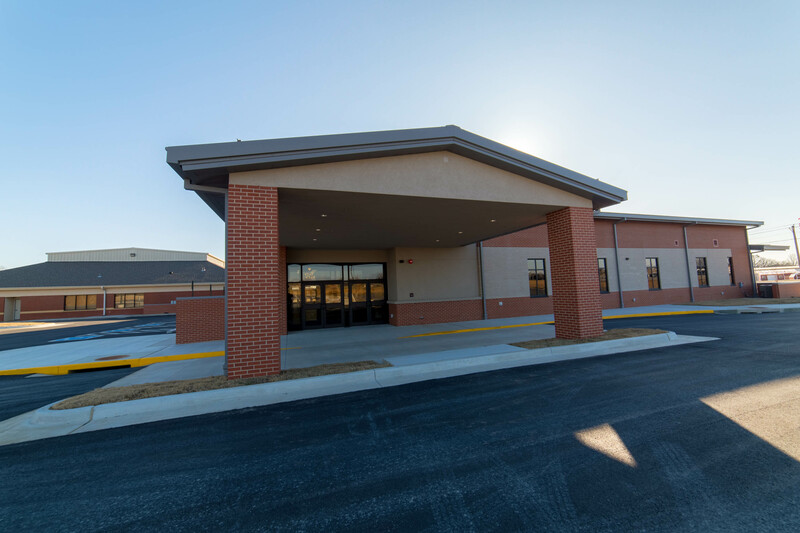 Exterior materials include brick to match the existing building and a gray accent brick with matching EIFS. 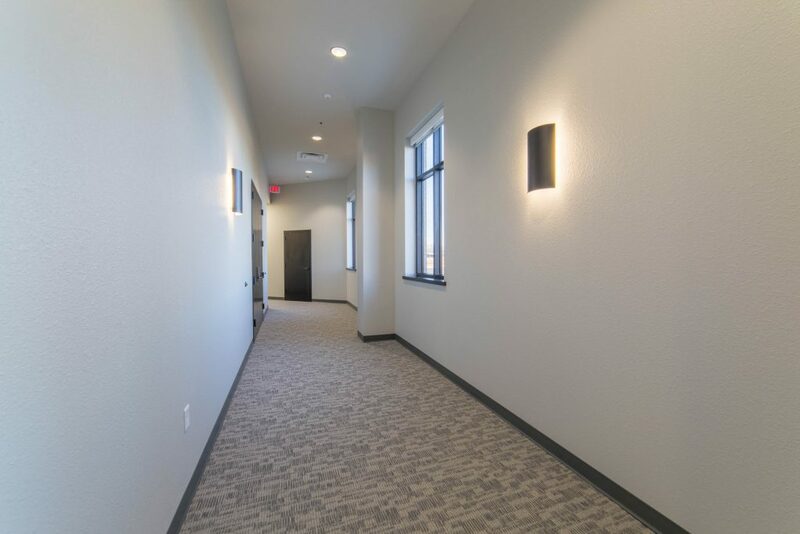 The existing Family Life Center will be painted to match the new accent color. 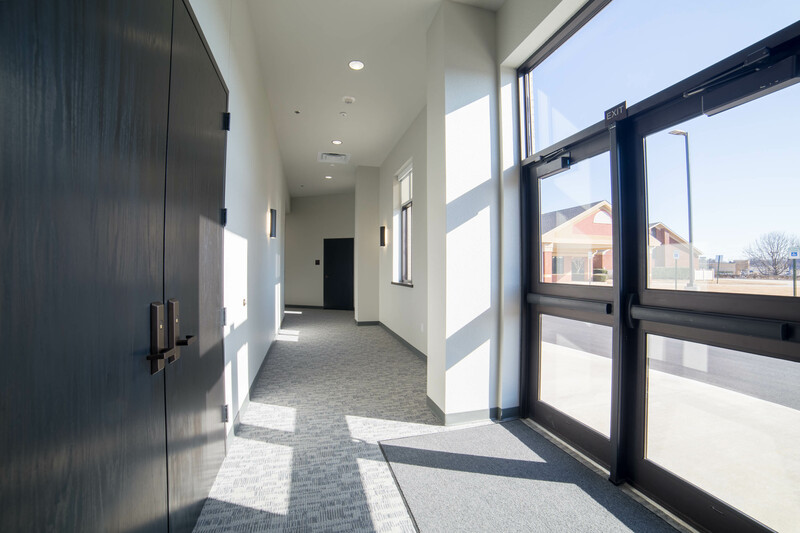 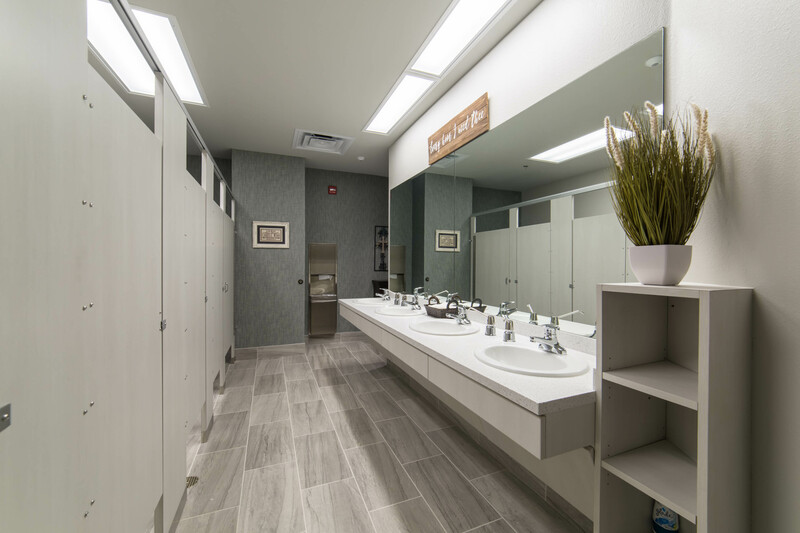 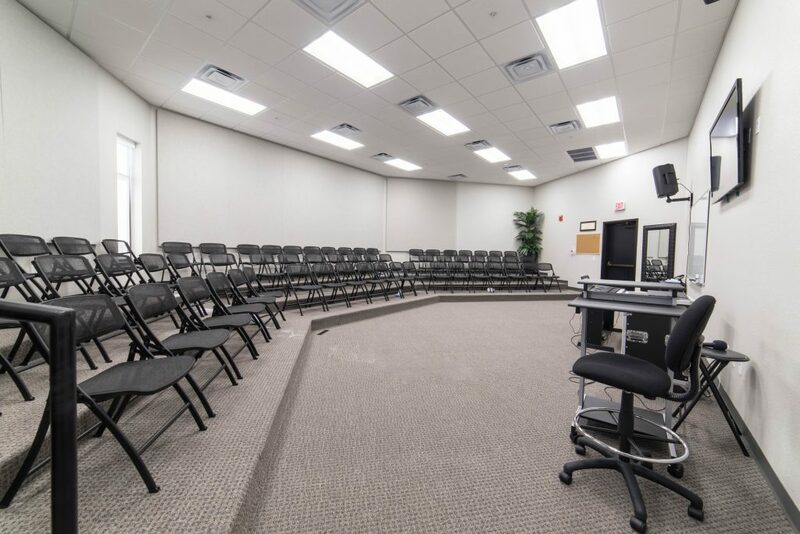 Interior spaces also include a Choir Rehearsal room, Foyer, Pastor’s Study, Conference Room, Baptistry Restrooms and Changing Rooms. 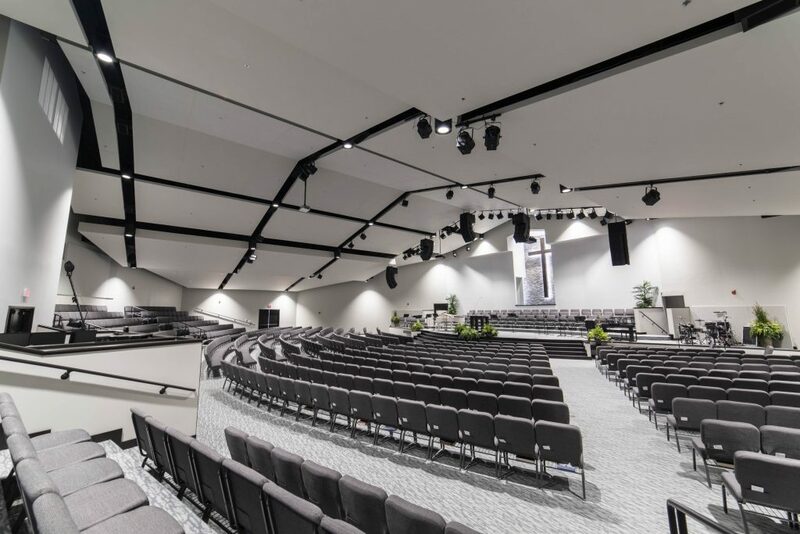 The Sanctuary ceiling is designed with a series of panelized clouds with some acoustical treatments. 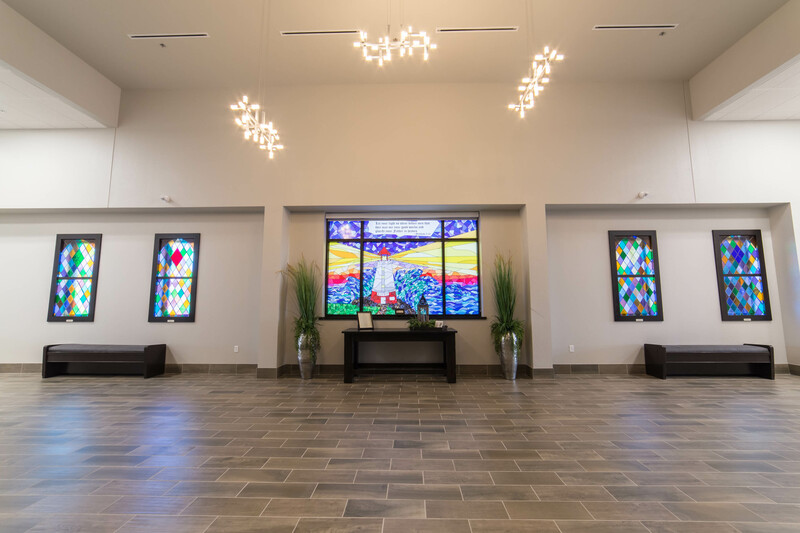 The beacon tower also serves as the location of the Baptistry to allow light to shine down. 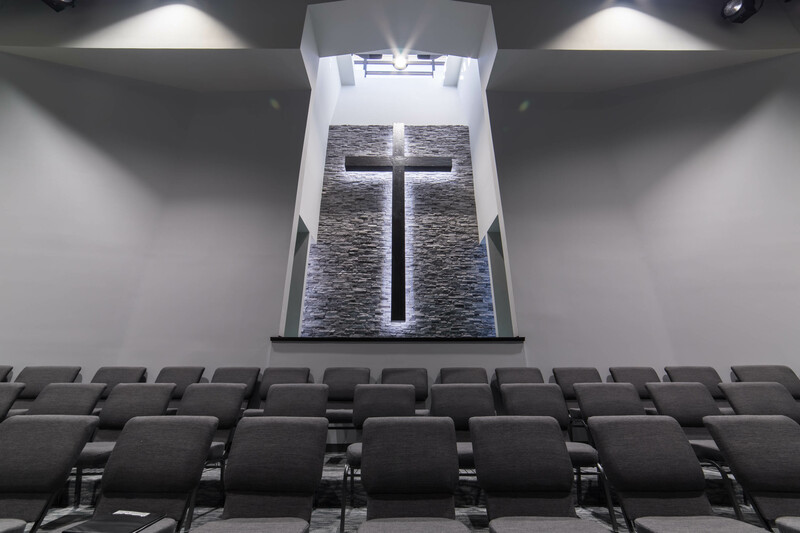 Behind the baptistry is a wooden cross back-lit over gray stone. 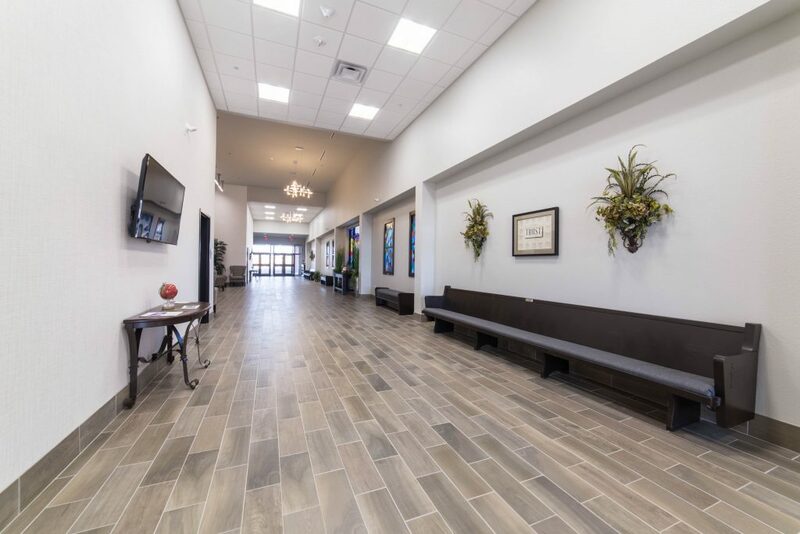 The scope also included remodeling existing classrooms in the Family Life Center for Nusery and Toddler Rooms for a closer proximity to the Sanctuary.